The town continued to flourish until 1924, when the coal mines closed. In that one year hundreds of families left town looking for work. Though two hills, known as "The Jumbos," in Toluca remain as reminders of the town's coal mining past, the population has declined to a steady 1,400 for the past few decades. Those from Toluca consider the hills a land mark they are proud of, just like two restaurants in town, Mona's and Capponi's, which were opened by the Bernardi family in the 1930's. The residents of Toluca immediately recognized a need for higher education and established a high school in 1893. The first graduating class for THS was the Class of 1897. The school prospered and excelled in many areas for nearly 100 years. In the late 1980's/early 1990's, consolidation talks with nearby Minonk-Dana-Rutland and Wenona surfaced. The effort became a reality in 1993 when Toluca High was deactivated and the Fieldcrest School System was born. 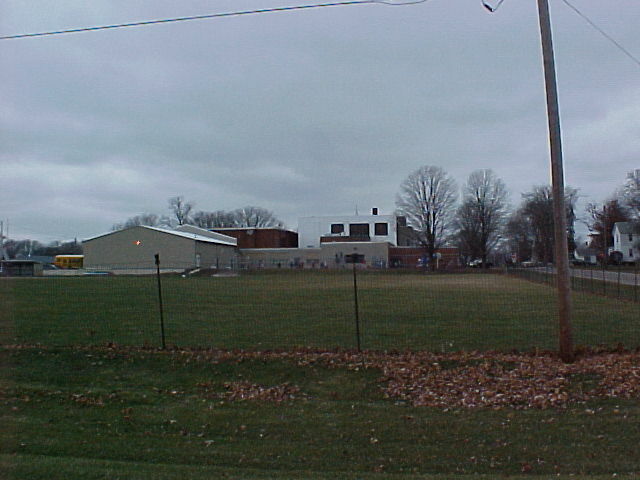 The high school remained in Minonk. Toluca residents built a "new" high school building in 1922, which served the school district as Toluca High until its closure in 1993. 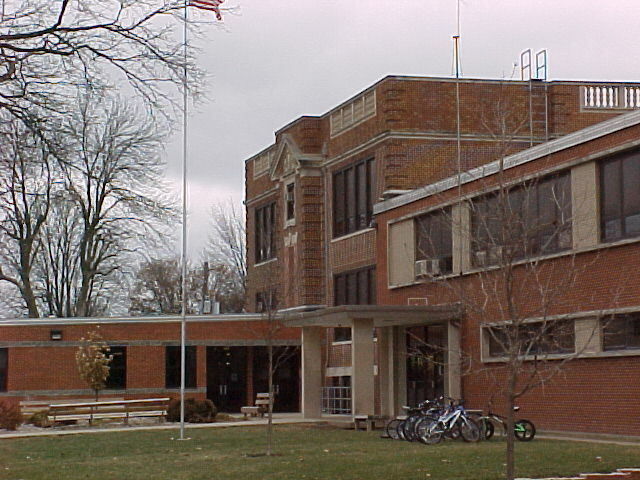 The Toluca High School building now serves as the Fieldcrest West Elementary and Middle School. Coming Soon two volume History Books of The Boy’s Basketball of Toluca High School. This 2 volume history of the Wildcats is packed with group, individual and action photographs and many articles from 1923 to the closing of Toluca High School in 1992. There will a special pricing if both volume’s are purchased at the same time. Don’t delay order your books today by emailing Terri at www.tntimage@mchsi.com. 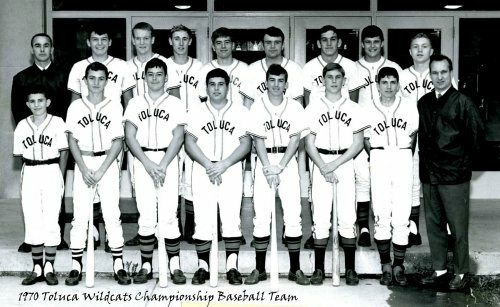 The Toluca High School Wildcats have a VERY long and storied history in Illinois High School athletics. 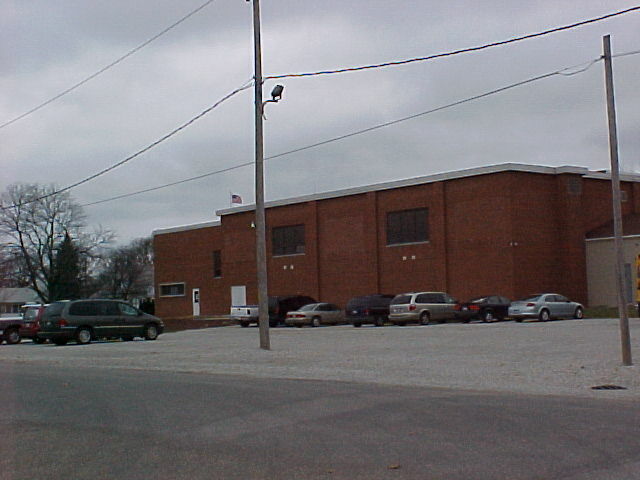 The boys basketball program was one of the premier programs in northern Illinois in the 1960's, 70's, and 80's. The boys' track team had some real nice success in the 1920s. Showing that they were well-rounded athletes, the baseball teams at Toluca also had some very good teams. Though there is no mention of girl's athletics on the IHSA web site (www.ihsa.org) we are confident there were many competitive teams forged by the Lady Wildcats as well. Toluca competed in the Tri-County Conference throughout its existence. If you have any information on the athletic program at Toluca you would like to share please e-mail us at ihsgdwebsite@comcast.net. No reason to wait here. 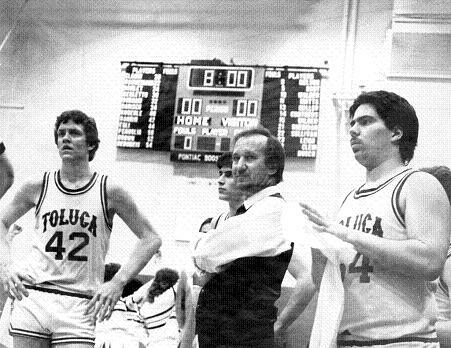 The boys' basketball program at Toluca High was extremely strong for many years. 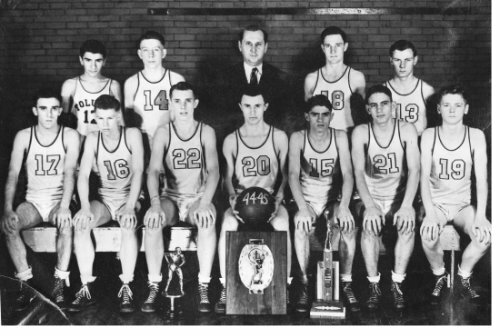 For over seven decades, the Wildcats consistently had teams vying for IHSA hardware. Even during the one-class system in Illinois, Toluca had to be reckoned with by the "big boys." Were it not for a couple of breaks and an unfortunate match-up, Toluca would have brought home some hardware from the big tournament. Two coaches define the incredible success attained by the Toluca Wildcats on the hardwood. First came Anton J. (Tony) Kresl, who coached the "Cats" from 1932-33 to 1946-47. During his 15-year tenure at Toluca, Kresl's teams had eight 20+ win seasons (including three seasons of 27 wins) and brought home four Regional titles. His overall record of 294-122 rank him second on Toluca's all-time list. His teams also won five consecutive Tri-County Conference titles from 1941 - 1945. 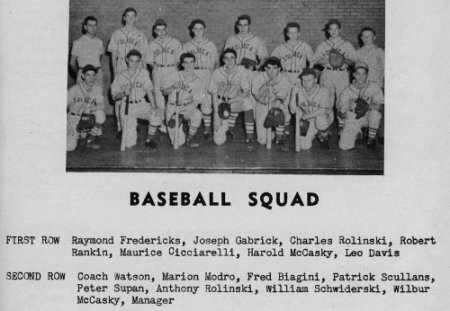 He led the boys of 1944-45 to the school's first Sectional Championship game (and a top-32 team finish). Great job Coach Kresl and the boys of the 1930's and 1940's. 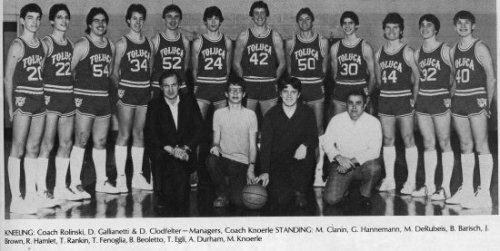 "Without question, the school's most well-known coach was state coaching legend Chuck Rolinski, a Toluca native who was named athletic director, basketball coach, and baseball coach in 1956. When he retired folowing the 1987-88 season, his 32-year basketball career ended with a 649-262 record, then good for 7th on the all-time wins list. Coach Rolinski is considered the "father" of the two-class Illinois state basketball tournament, as he was the driving force behind the creation of two classes. Toluca won 59 major championships under Rolinski. Included were 16 Tri-County Conference titles, 12 Regional titles, and three Sectional titles which resulted in three Sweet 16 appearances. Rolinski, an Illinois State University graduate, and his wife, Anita, still reside in Toluca. Coach Rolinski serves the Illinois Basketball Coach's Association as its secretary-treasurer. 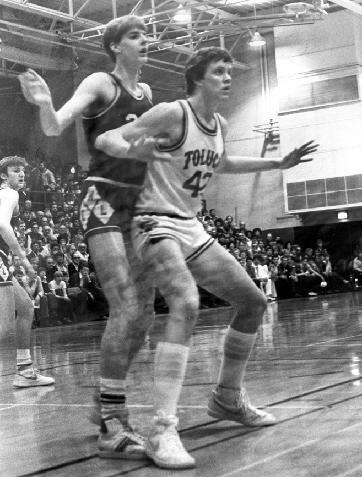 He is a member of the ISU, IBCA, and Greater Peoria Area Halls of Fame." 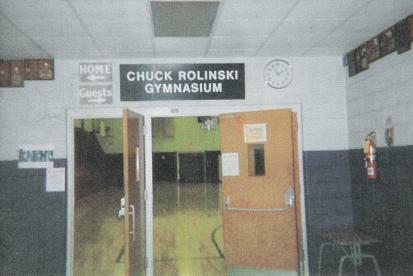 The former Toluca High School gymnasium (current Fieldcrest West Grade School gym) is named Chuck Rolinski Gymnasium (see photos below). 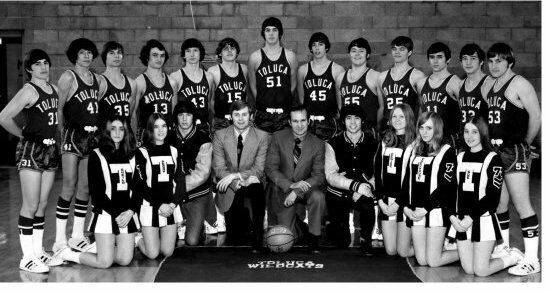 Long game - One side-story involving the Toluca High basketball program involves the Freshman/Sophomore team. Playing their arch-rivals Wenona in February of 1930, the "Wildkits" were involved in one of the longest games in high school history. The game went 10 overtimes before Wenona prevailed 26-22. Some coverage about the game was even received on a national level! 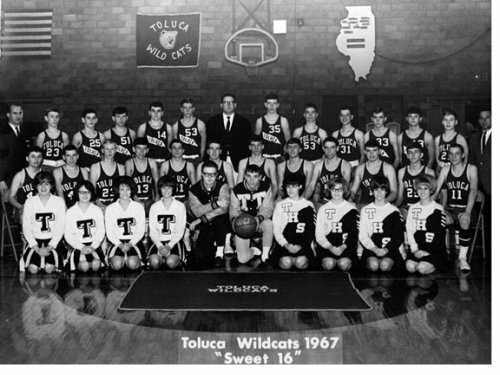 The INCREDIBLE small-town high school successes of the Toluca High School Wildcats basketball program, according to the IHSA web site, are listed below. CORNELL (22): Lindquist 12, Grimm 4, Johnson 4, Rusted 2. TOLUCA (7): Cattistella 4, Mariotti 2, Cassel 1. 1924-25 Postseason scores and record needed. 1925-26 Postseason scores and record needed. TOLUCA (34): Ghiglieri 19, Aimone 6, O’Dea 4, Fenoglia 4, Rusiotelli 1. PRINCETON (30): Eakle 10, Halberg 8, Ferris 8, Mercer 4. Somonauk lost in Elite 8 Rd to Champaign HS who placed 2nd. MINONK-DANA (47): Toler 14, Woltzen 12, Dishinger 10, Klendworth 6, Harms 5. TOLUCA (38): Vosberg 12, Ciccarelli 8, Gabrick 7, Rolinski 7, Spires 2, Schumacher 2. TOLUCA (77): Baker 18, Ji. Mariotti 17, Fenoglia 14, Daghe 13, Rankin 11, Frederick 2, Jo. Mariotti 2. WOODLAND (68): J. Pastirik 15, B. Pastirik 15, Noble 14, Grant 10, Yock 10, McBride 2. TISKILWA (67): Sash 18, Nevitt 16, Huston 14, McCoy 9, Russell 8, Vaughn 2. TOLUCA (65): Mariotti 22, Fenoglia 16, Baker 11, Fredricks 9, Daghe 4, Rankin 4. TOLUCA (74): Marotti 15, Gardner 15, C. Fenoglia 14, Rankin 13, Daghe 13, Schubert 2, Robinson 2. GRANVILLE HOPKINS (50): Aimone 24, Borri 10, Nannie 6, Botoletto 4, Ghibellini 2, Fiedler 2. TOLUCA (68): Fenoglia 21, Daghe 15, Rankin 15, Mariotti 12, Gardner 5. LASALLE-PERU (67): Mills 20, Pittman 14, Croissant 14, Galassi 12, Ficek 4, Orlandini 3. OTTAWA (58): Schlosser 21, Schiffbauer 11, Love 7, Johnson 7, Blue 6, Chevalier 6. TOLUCA (57): Gardner 16, Daghe 11, Rankin 11, Mariotti 9, Fenoglia 6. Ottawa lost in Sweet 16 Rd. TOLUCA (64): Rankin 20, Baldwin 18, Gardner 18, Imm 5, Hemenway 3. TOLUCA (91): Rankin 25, Gardner 23, Imm 17, Baldwin 15, Hemenway 6, Clark 3, Fengler 2. NORMAL (69): Shoemaker 29, Barton 12, Willis 7, Ehrlich 6, Lamb 5, Bilyeu 4, Foster 4. OTTAWA (85): Blue 24, Love 19, Johnson 15, Stahley 11, Ristau 6, Bernardoni 6, Polancic 4. TOLUCA (64): Gardner 26, Rankin 15, Baldwin 8, Fenoglio 6, Hemenway 5, Imm 4. Ottawa lost in Elite 8 Rd. TOLUCA (71): Daghe 23, Gardner 14, Imm 14, Hemenway 12, Bernardi 6, Dahlbach 2. SHABBONA (63): Benson 24, Hopwood 16, Meserole 10, Johnson 7, Krabenbuhl 3, Sutton 3. TOLUCA (60): Daghe 17, Gardner 15, Hemenway 13, Imm 12, Dahlbach 3. TOLUCA (58): Vignali 19, Gardner 16, Daghe 15, Bernandi 4, Dahlbach 2, Zilm 2. HENRY (48): Davis 19, Stickel 12, Dewey 9, Villiger 5, Hageman 3. PONTIAC (66): Thompson 19, Fuss 16, Armbruster 12, Bond 11, Stamps 8. TOLUCA (52): Gardner 24, Daghe 13, Vignali 5, Zilm 4, Bernardi 4, Fenogla 2. Pontiac lost in Sweet 16 Rd. TOLUCA (63): Vignalli 16, Bernardi 15, Massino 13, Dahlbach 10, Haugens 9. WENONA (56): D. Forrest 17, Beckman 12, Baker 10, Campbell 7, Bassi 5, Skaggs 5. TOLUCA (56): Bernardi 15, Vianoll 12, Houans 11, Massino 8, Dahldach 8, Hemenway 2. STREATOR (49): Ahearn 16, Williamson 10, Bailey 10, James 6, Moore 5, Soirouso 2. PONTIAC (49): Fuss 18, D. Shurr 9, Ruppel 9, Thompson 9, Jacquat 4. TOLUCA (48): Vignall 19, Hemenway 13, Haugens 10, Burks 4, Pescitelli 2. Streator lost in Sweet 16 Rd. WENONA (60): Hallam 17, Jackson 15, Bassi 13, Melvin 13, Spaulding 2. TOLUCA (51): Pescitelli 25, Zilm 10, Bastion 6, Nenne 4, Althaus 2, Haugens 2, Burks 2. TOLUCA (71): Haugens 33, Tyner 13, Zilm 13, Moore 10, Clark 2. WENONA (70): Spaulding 25, Meinhold 18, Salz 17, Foote 7, Zulz 3. TOLUCA (90): Haugens 36, Tyner 21, Kazenske 13, Modro 12, Zilm 8. LASALLE-PERU (72): Ellberg 23, Youngdale 22, Lamps 10, Windy 9, Kohr 6, Welch 2. TOLUCA (68): Haugens 22, Tyner 20, Kazenske 13, Modro 7, Clark 6. LOCKPORT CENTRAL (67): Hickman 23, Handy 19, Green 17, Czerkies 4, Tusek 4. WOODLAND (52): Highland 16, Adams 13, Weiss 11, Kern 6, Tombaugh 6. TOLUCA (48): M. Rinker 20, J. Rinker 12, Heck 7, Egleton 4, Ghiglieri 3, DeRubels 2. Woodland lost in Elite 8 Rd. TOLUCA (50): M. Rinker 14, DeRubeis 14, Da. Rinker 10, Heck 10, Bond 1, Egleton 1. HENRY (49): Hunter 20, Smith 11, Gibbs 7, Watkins 7, Allard 4. TOLUCA (91): M. Rinker 25, DeRubeis 19, Heck 14, Bond 13, D. Rinker 13, Egelton 3, Stones 2, Seoglia 2. WENONA (72): Peterson 22, Flahaven 20, Barke 17, Hatton 8, Stasell 2, D. Scheuer 2, J. Scheuer 1. TOLUCA (62): M. Rinker 32, Bond 15, DeRubeis 7, D. Rinker 4, Egelton 2, Heck 2. ST. BEDE (58): Comiskey 24, Mattioda 18, Koehler 8, Manilak 6, Morris 2. St. Anne had future NBA All-Star Jack Sikma. TOLUCA (54): Rinker 20, Bond 20, McCully 6, McAllister 4, Egleton 2, Mariani 2. TOLUCA (48): Rinker 18, McCully 12, Mariani 10, Egleton 4, McAllister 4. WOODLAND (43): Stimpert 15, Myers 12, Cassady 8, Mudrock 8. BUDA WESTERN (51): Sprowls 22, Bowman 11, Anglin 6, Horton 6, Taylor 4, Hartz 2. TOLUCA (50): Rinker 22, McCully 10, Mariani 6, McAllister 6, Egleton 6. TOLUCA (25): Rankin 11, Beoletto 10, Hamlet 4. FORMAN (23): C. Harms 8, Woiwode 6, Thomas 5, Dosier 2, Pearson 2. TOLUCA (42): Beoletto 15, Rankin 13, Hamlet 8, DeRubeis 4, Egli 2. BLOOMINGTON CC (39): Lanier 13, Schilkoski 10, Krause 10, Brady 4, Neirynick 2. Hoopeston-East Lynn lost to Mt. Pulaski in Elite 8 Rd. *Final game for Toluca High School boys basketball program. 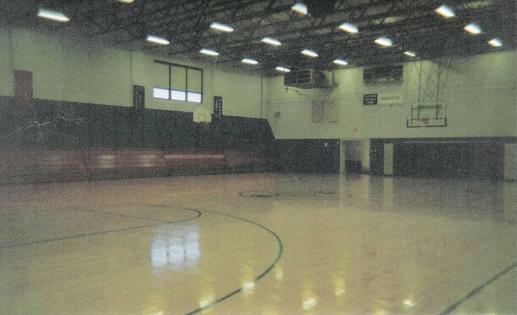 Became part of the Fieldcrest School District in the summer of 1992. Incredible Job Toluca High School boys basketball program!! Toluca High School girls basketball got its start like many high school girls teams in the early 1900s. However, in the late 19-teens the IHSA dropped girls basketball. Girls basketball was not reinstated by the IHSA until 1974. Below is a photo of the Toluca High School girls basketball team of 1913-14. If you have any information about the girls basketball program please contact us at ihsgdwebsite@comcast.net. 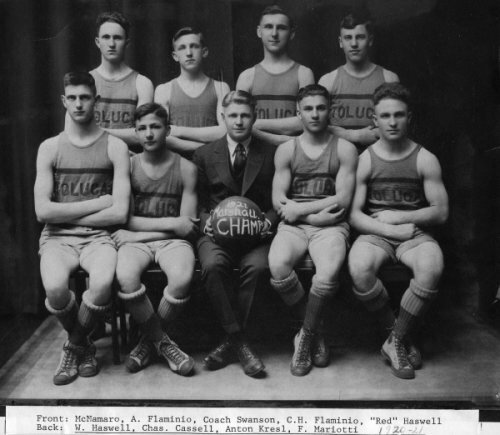 The Toluca Wildcats of the early 1920's had two athletes who brought the program fame on a state-wide level. One athlete, Joe "Joe Day" Dicenzo, won two gold medals in consecutive seasons to lead the Toluca thinclads to consecutive top-ten finishes at the State "B" Track Meet. The Wildcat coach of the 1921, '22, and '23 teams was Ed Foley. One other athlete, with only a last name of Hoswell, also brought home a medal (3rd Place) in 1921. The track accomplishments of Toluca High School on a State Meet level are listed below. Joe "Joe Day" Dicenzo 50 Yard Dash STATE CHAMPION!! Joe "Joe Day" Dicenzo 100 Yard Dash STATE CHAMPION!! Joe Dicenzo 50 Yard Dash STATE CHAMPION!! Joe Dicenzo 100 Yard Dash STATE CHAMPION!! all tied for 6th with 10 points also. The Toluca High School boys were a multi-talented bunch and proved this on the baseball diamond. They won two District Titles and two Regional Titles. It was even said they at one point won eight consecutive Tri-County Conference Championships, going an incredible 72-1 during that span. The years of the State winners are listed below. Unfortunately, the team records of these and other great Toluca baseball teams are not available at this time. 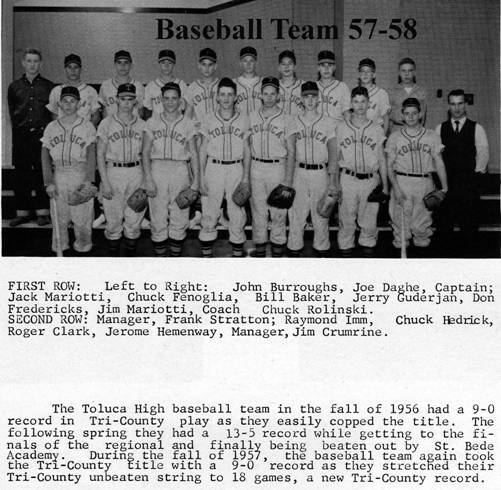 "1951 Fall Baseball Season – The Toluca Wildcats breezed through their 7 game schedule without a defeat, to win the Tri County Championship. The 1st game was at Wenona. The Wildcats 9 scored 31 runs before Wenona in the last inning could get a run across. Final score 31-4. The following game was with Sparland at home. The local boys weren’t hitting well but managed to pull through a 5-3 Victory. The next game was at Lostant & the boys got back in the stride to roll over the opposition 18-6. The Henry team was the next victim, with Joe Gabrick, the regular hurler, pitching a fine 7 hit game. Final score 13-5. Our next game was at Tonica. The boys played their usual good brand of baseball & won 10-5. At Swaney, Gabrick turned in a beautiful game. He gave up 4 hits, 5 walks & struck out 12 men. It was another massacre 16-1. The final game was against the highly touted Hopkins of Granville team. Our boys had no trouble at the plate & turned in some real fielding gems that were worthy of more experienced teams. They took the championship 16-2. A very successful season for a fine bunch of ball playes. Toluca won the Tri County baseball for the 2nd straight year. Toluca became the 1st team in history of the Tri County baseball league to go undefeated for 2 straight seasons. On Monday, Oct. 7 the Hornets of Hopkins forfeited the game to Toluca . Their winning streak in Tri County baseball now stretches to 18 games in a row. The 18 games in a row can be contributed to many different reasons. Hitting & pitching are the 2 main reasons. 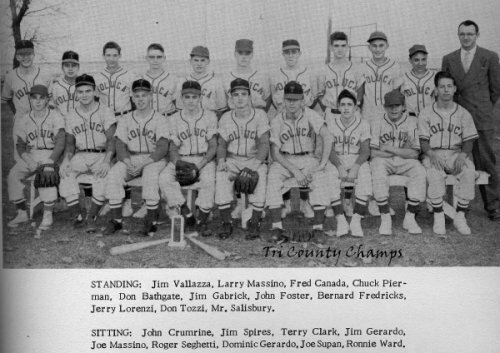 The hard hitting Wildcats in the 1957 season collected 106 runs & 97 hits while the pitchers allowed 12 runs & only 21 hits. The team batting average is a fantastic .371 as the Wildcats had 7 starters that had batting average of over .350. The scores of the 56 & 57 seasons follow. 1956 – Toluca 14, Hopkins 5 – Toluca 5, Mid County 0 – Toluca 5, Tonica 0 – Toluca 14, Henry 1 – Toluca 14, Lostant 0 – Toluca 15, Wenona 1 – Toluca 17, Sparland 1 – Toluca 3, Washburn 1 – Toluca 4, Swaney 3 – 1957: Toluca 6, Mid County 0 – Toluca 17, Wenona 4 – Toluca 11, Tonica 0 – Toluca 12, Henry 6 – Toluca 13, Sparland 0 – Toluca 11, Washburn 1 – Toluca 13, Swaney 1 – Toluca 9, Hopkins 0 (Forfeit) – Toluca Baseball Batting Averages: Mariotti, Jim .379 – Mariotti, Jack .467 – Daghe, Joe .367 – Baker, Bill .440 – Burroughs, John .276 – Schubert, Jeff .391 – Fengolia, Chuck .324 – Guderjan, Jerry .091 – Fredericks, Don .565 – Hedrick, Chuck .300 – Rolinski, Jerry .600 – Imm, Ray .111 – Clark, Roger, Hemenway, Jerome & Haig, Terry all .000 & Rankin, Roger .250." where he was named to the NAIA All-American Basketball Team. Named to the All-Time IHSA Legends team in 2007! *B.H. "Duffy" Bass (Class of 1942) - Played on the basketball and baseball teams of the early 1940's, Duffy went on to become the Head Baseball Coach at Illinois State University, leading the 1969 Redbirds to the college division championship.